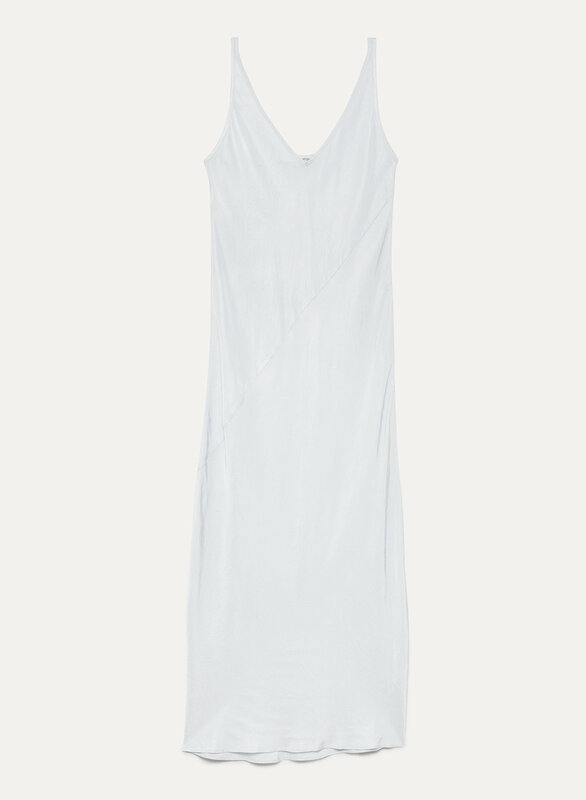 This midi dress is made with a lustrous satiny fabric that drapes like a dream. A body-skimming silhouette is met with an elegant V-neck — consider this your next date night outfit. Fits nicely in most areas - except on both the upper side portion of the dress. This part is slightly loose. It looks as though it was hung improperly so now there's a loose imprint pertruding on the dress...IMO it's probably a design flaw.